Independent confessional Lutheran congregations were developed in parts of Germany early in the 19th century, largely because of a Government-imposed union between Lutheran and Reformed churches. 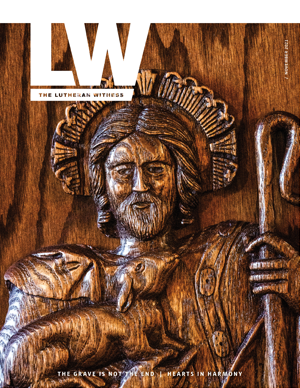 Confessional Lutherans in those days often were persecuted, not allowed to hold their own worship services, and/or not permitted to have their children baptized and confirmed according to the Lutheran liturgy. In 1972, most of the confessional Lutheran church bodies in Germany formed the Independent Evangelical Lutheran Church (SELK). In 1991, the Evangelical-Lutheran (Old Lutheran) Church of the former German Democratic Republic (East Germany) joined the SELK. Today, most confessional Lutheran churches in Germany are members of the SELK, which is the acronym for its name in German: Selbständige Evangelisch-Lutherische Kirche. The Lutheran Church—Missouri Synod began working with and assisting the SELK already in 1972. The LCMS first supported SELK mercy work in 1979 with a grant to purchase food and medical supplies for needy members. Germany serves as the LCMS base country for missionary personnel serving the greater Eurasia region. 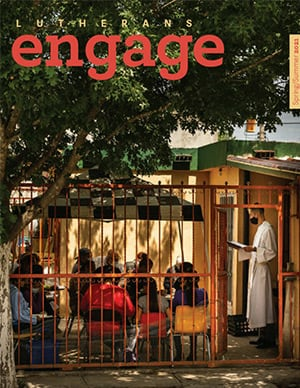 They provide pastoral and administrative support to the region’s missionaries and mission projects, mission research, theological education, volunteer support, outreach training, and direction for The Wittenberg Project. 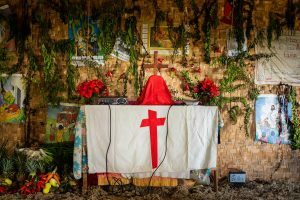 The LCMS and SELK regularly work in partnership, often through the SELK’s mission arm, the Lutheran Church Mission (LKM, sometimes referred to as the Bleckmar Mission). The two church bodies operate a joint mission project in Brussels, Belgium, and their seminaries regularly exchange students. The most recent area of cooperation is the effort in Wittenberg, Germany, to establish a new Martin Luther museum-attraction and welcome center that will share the Good News about Jesus with tens of thousands of area residents and tourists every year. The project also includes planting a SELK congregation in Wittenberg, other ministries to serve the community, and a place for study. Today, SELK ministers to approximately 40,000 baptized members in almost 200 congregations, and has 140 active pastors. Most of their congregations are located in Berlin, North Rhine-Westphalia, Lower Saxony and Hessen. The SELK supports and carries on mission work in South Africa and Botswana and has one missionary working in Brazil. Trinity Lutheran Church in Frankfurt, Germany, is an independent Lutheran congregation that affiliates itself with the LCMS. It is currently served by Rev. Bob Flohrs, an LCMS pastor. Learn more about Trinity on its website at www.trinity-lutheran.de.